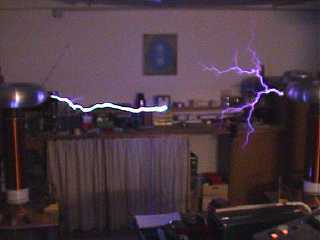 8" twin, sparking 2m (6.6') in lighted room. 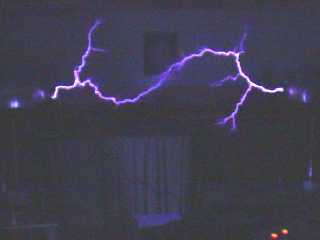 11sec's, size 1'378'045 bytes 8" twin, sparking 2m (6.6') in dark room. 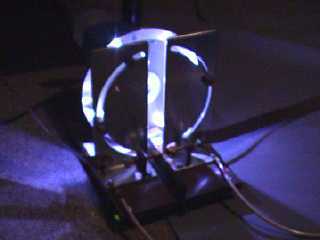 a grounded pin, set halfway between coils. 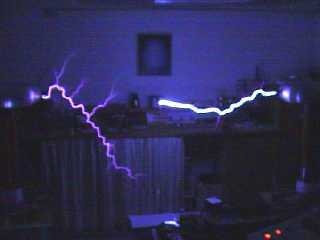 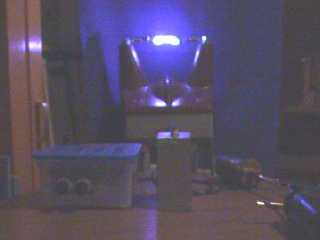 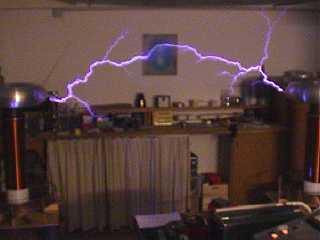 operated as an induction coil, by means of dimmer (capacitor discharge 6.5uF on 230V AC line).